I just wrapped up a tremendous month of music, highlighted by the annual FAR West conference and capped off with a great night at Awaken Cafe in Oakland. This was my second year at FAR West. The “FAR” stands for Folk Alliance Region, and there are 5 regions, each with their own conference, plus the big national conference in February. It’s 4 solid days filled with singer-songwriter, folk, roots music and more. 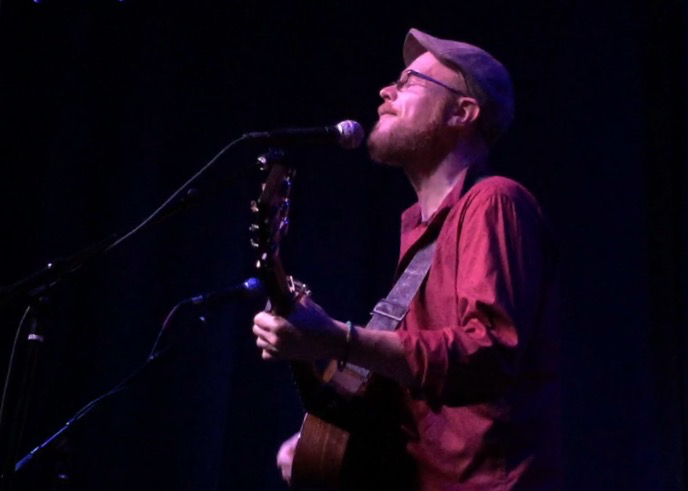 Featured concerts are held each evening, and those are followed by hotel room “showcases” for booking agents, venues, house concert hosts, and of course other musicians to come and go as they please. These go late into the evening and make for some pretty crazy and inspiring days and nights. I had a great time, met lots of great and talented people, and came away energized and rejuvenated (and sleep deprived!). 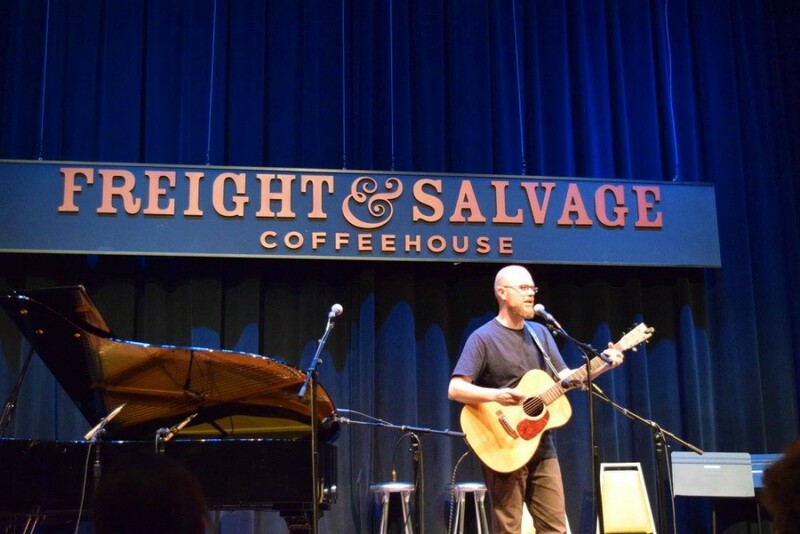 I was lucky to have been one of the songwriters chosen at random to perform in the kick-off open mic event at the beautiful Freight and Salvage in Berkeley. It was an honor to get to be on the stage of such a great venue. Holding forth at the beautiful Freight and Salvage in Berkeley. Off the Grid performances played an important part in my month as well. I played four of these, including my first ever appearances at the Walnut Creek and Uptown Oakland locations. Both of these are great spots, with ample room to hang out and eat and enjoy some great food from the many trucks that come. I’m looking forward to more OTG appearances late this month. I finally got my ReverbNation profile all pretty and happening. It’s another great way to see what I have going on, upcoming shows, news, etc. Hope you come by and “fan” my page if you haven’t yet. Lastly, I opened for my friends Grand Avenue Soul at the Awaken Cafe in downtown Oakland. This was another new venue for me, and the sound was absolutely stellar and we had a really nice crowd on hand who got to boogie a little to Grand Avenue Soul’s grooves, after I got things warmed up. I’m hoping to have some video from the night soon! Having a good time crooning away at Awaken Cafe in Oakland. So now that October has wrapped, what’s next? Well, I quickly wrote and recorded a fun tune to support Sing Me a Story – a very cool nonprofit I just learned about and immediately jumped in to supporting. They match up songwriters with kids’ stories from other nonprofits. How perfect is that? I’ll write up something separate on that soon, but for now, you can check out the song – and download it by making a small donation – on their site here. As I mentioned, I have a few Off the Grid dates coming up late in the month for those of you who, like me, aren’t headed anywhere for the Thanksgiving holidays. Pop over to the shows page to see the dates. Use the contact page to sign up for the mailing list if you haven’t. And most of all – have a great month and a great Thanksgiving!